Hunger & Homeless Awareness Week. 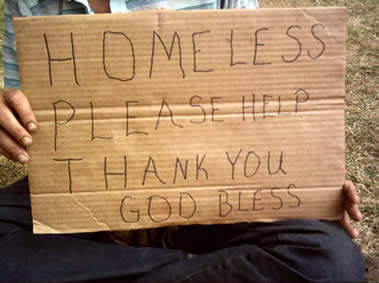 It’s close to Thanksgiving and an appropriate time to talk about the hungry and homeless in the Kansas City community. Earlier this month, we learned more about the Lazarus Ministry committee and their experience on the homeless walk. This week, the Junior League is sharing more about hunger and our homeless community, and how you can help. A big thanks to Kori Crouse for helping put all these powerful ideas together. Most of us have never had to face a mealtime when we simply couldn’t afford any food or couldn’t turn to family for a warm, home-cooked meal. How much do you usually spend on lunch? Or on an evening dinner out? What if you skipped a meal today and donated the money you usually spend to Harvesters or Lazarus Ministries? Over 14 million American children rely on food banks for assistance. If every one of our members gave the $10 they usually spend on lunch, we could raise more than $10,000 to help those suffering from food insecurity. I gave online at Harvesters, another great partner to the Junior League in Kansas City. You can also make a financial gift here at Lazarus Ministries. – http://grandavenuetempleumc.org/lazarus-ministries/donate-lazarus-ministries/. If you feel compelled to give your time, check out these Kansas City organizations. We have plenty to be thankful for and there are ways to respond and help in our community. This entry was posted on November 18, 2014 by JLKCMO in Community Impact.